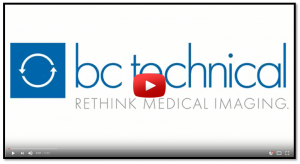 BC Technical is a leader in Mobile Imaging Solutions for mobile CT and mobile MRI. We can easily and quickly accommodate weekly, monthly, yearly or multi-year rentals. You can be assured our team will professionally deliver a high-quality CT or MRI on location and on-time to meet your site’s diagnostic imaging needs. Our engineering team will keep you up and running with 24/7/365 parts and service. Whether it’s clearing up a patient backlog or waiting for a facility to be finished, we will be happy to personally design a rental or leasing package based on your specific needs.Contact us today to discuss our full range of interim service solutions for mobile imaging.